I don't often wear false eyelashes, I kinda abused them in my late teens when I used to go to raves. Yes really, I wasn't a stranger to those thick, inflexible, cheap eyelashes you get on eBay - basically the fuller and loner, the better. 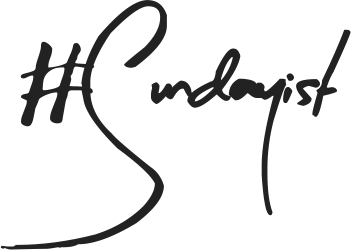 Ever since then I have favoured a more natural approach to eyelashes and save them for special occasions and even then they have to be light, unnoticeable yet give me a better lash line. 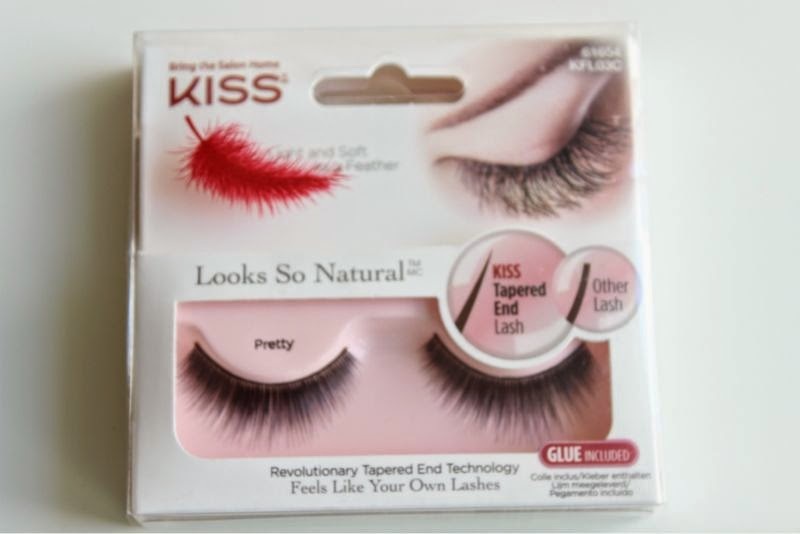 If that sounds familiar then you really need to try out the new Kiss Lashes Looks So Natural Range. 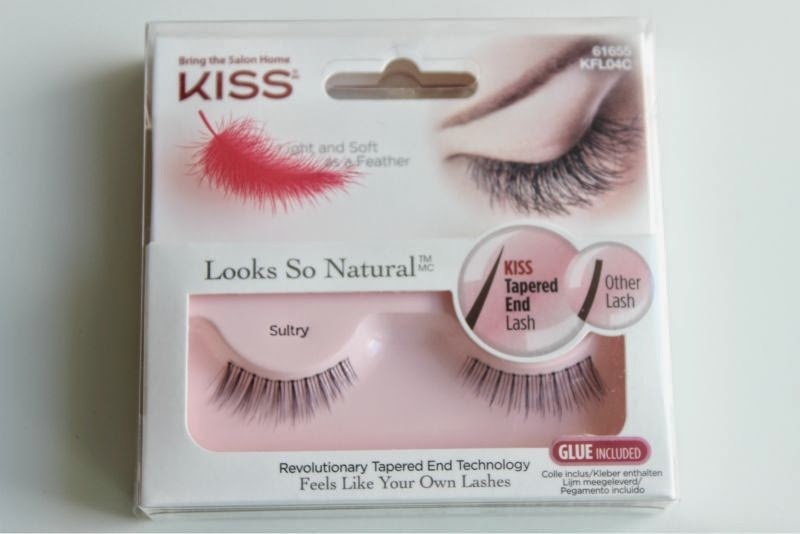 The Kiss Lashes Looks So Natural Range is just that exceptionally natural yet they do make a difference, there are five new styles: shy, flirty, pretty, sultry and vamp - four of which I have. 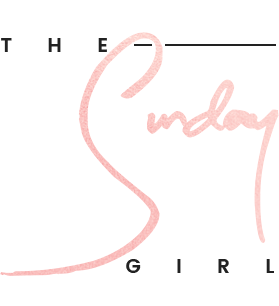 The idea is that they are so light and soft that you quickly forget you are wearing them (which I can vouch for) and due to the taper lashes they blend seamlessly in with your natural eyelashes. Tapered lashes? Basically a lot of brands feature blunt edges when it comes to false eyelashes which can result in a rather obvious finish. 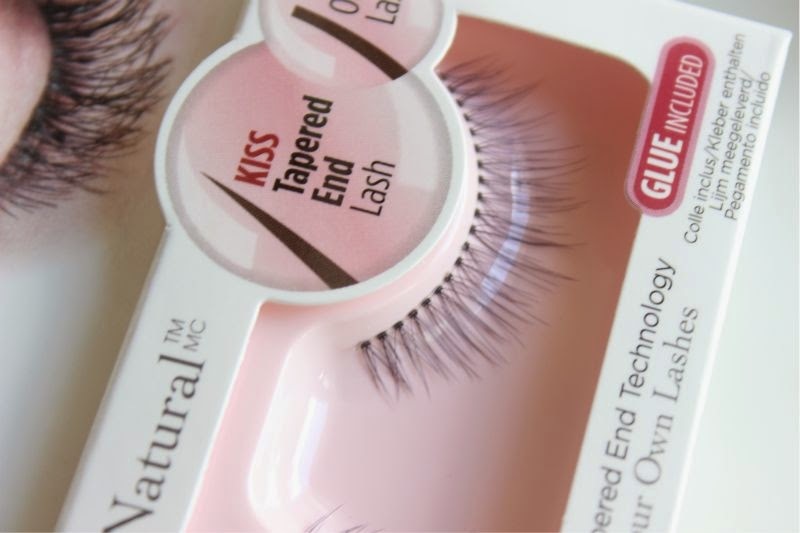 The tapered edges of the new Kiss Lashes Looks So Natural Range lashes means they curl upwards like natural eyelashes again resulting in them being undetectable. 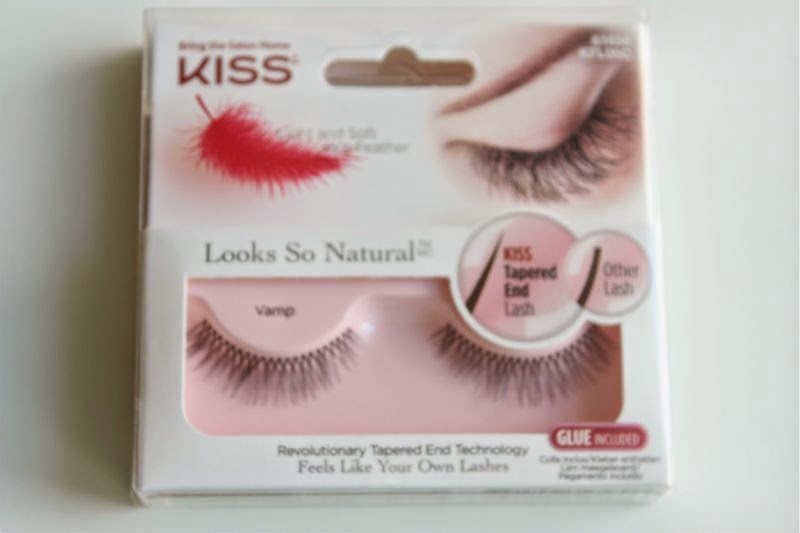 If you want to look like you have great yet naturally long and thick eyelashes this is the range for you at £4.49 a pair I think they are a complete bargain as they come with glue and with proper care can be used a good few times. You didn't hear this from me but it terms of quality they are as good as the likes of MAC and Illamasqua eyeslashes but we shall keep that under our hats! 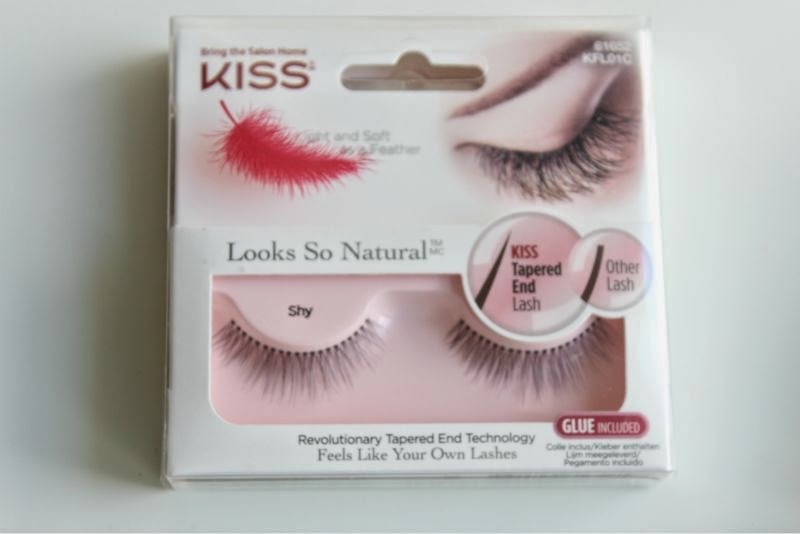 You can find the entire range of Kiss Lashes So Natural via Boots for £4.49 a pair - link.